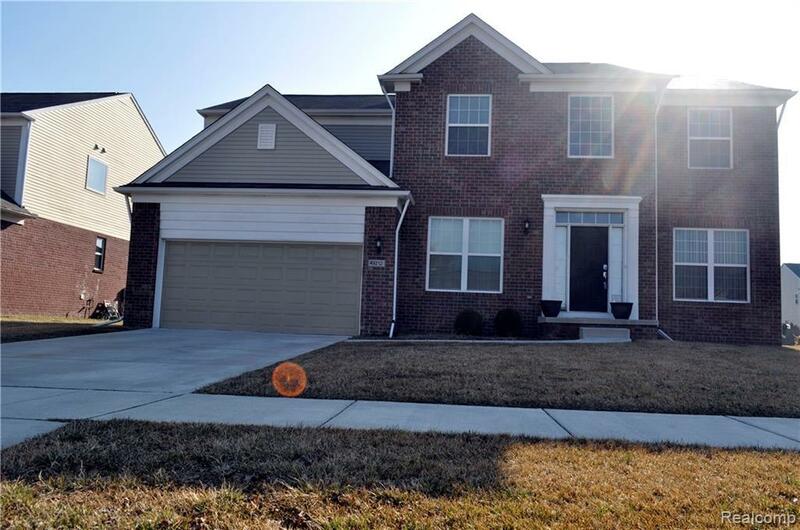 Better than new construction in sought-after Utica School District! This turn-key Colonial has it all, the upgrades & options you ask for,no detail has been overlooked! The functional floor plan is perfect for both everyday living & entertaining. Whether you're spending your days working in the library, evenings lounging in the great room, or hosting holiday gatherings in the dining room, there's a space for it all. The 2-story foyer, a fully upgraded gourmet kitchen features granite counters, espresso cabinetry, built-in workstation, and a large island. An enormous master suite includes a two walk-in closets & dual vanities, tub and standing shower, and with three other generously sized bedrooms, there's a room for everyone. A large patio overlooks the yard, and is just waiting for your personal touch. This great home is located in the Westminister neighborhood.